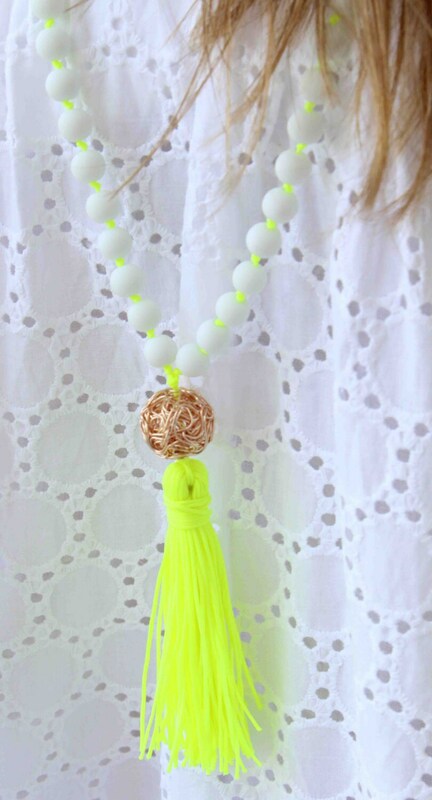 This Long tassel necklace is made with white matte beads with knots between them, a metal gold plated wire ball and a beautiful tassel!! So unique that will make your outfit to shine!!! 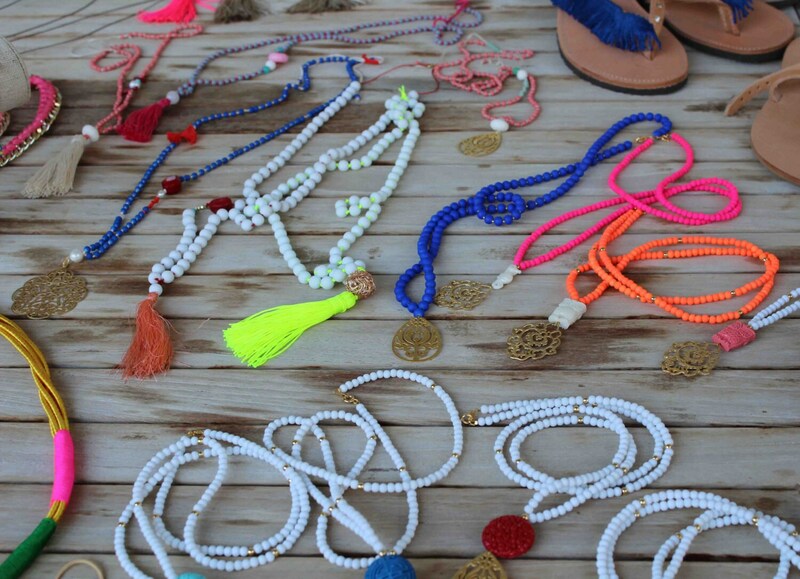 Choose the string you would like for the tassel and the knots!! This Listing is for ONE Necklace! 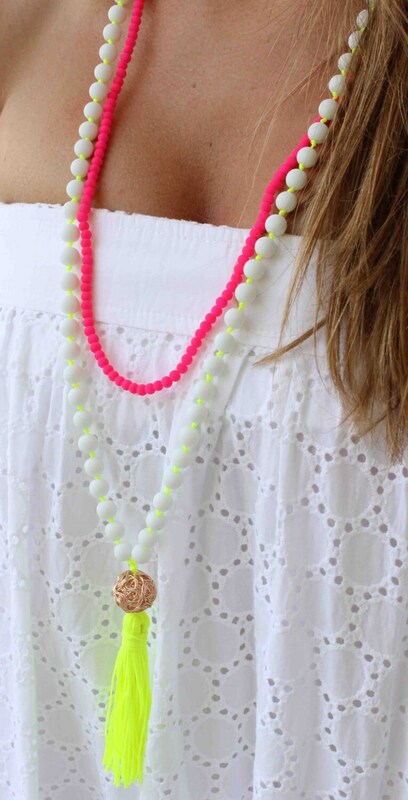 You can also see my other neon necklace!! 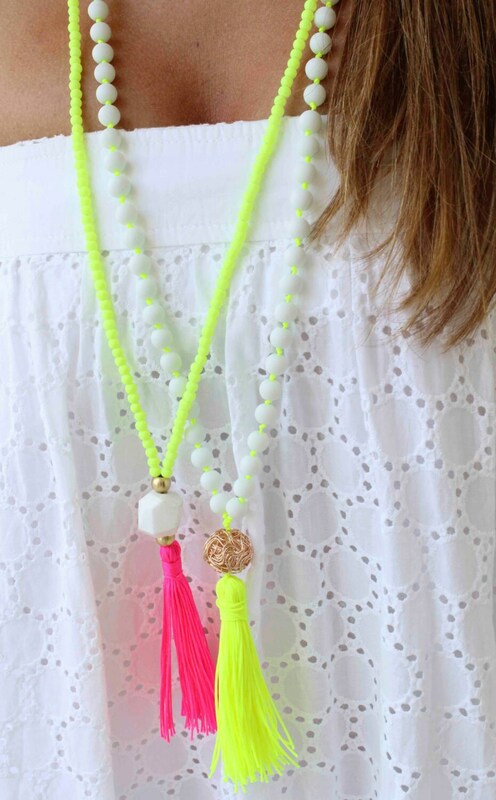 pretty necklace and well made! love it!